It’s time for a new sketch challenge on the MFT Challenge and Inspiration Blog and today I’m sharing a card inspired by this week’s sketch. 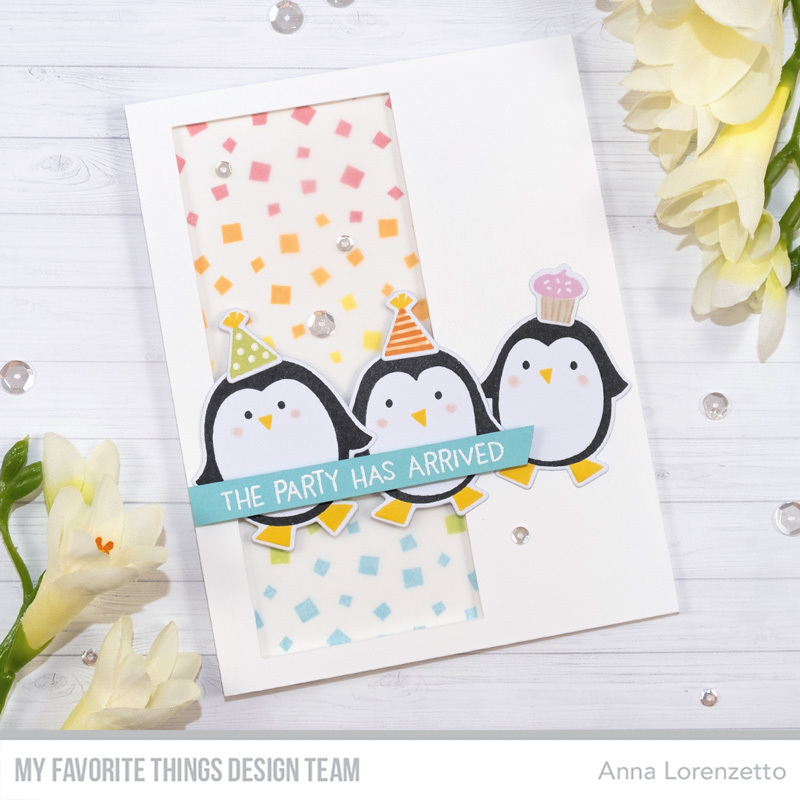 To create this card, I stamped three happy penguins from the Party Penguins stamp set and cut them off using the coordinating dies. Then, I used one of the smaller stamps from the same set to create a custom and colorful background. These rainbow confetti are such fun, don’t you think? They’re just perfect to create a party scene! I cut a rectangle out of a white card stock panel with my craft knife to create a window and foam mounted it over the card base. I also added a strip of vellum between the two layers to soften the background a bit. I heat embossed the sentiment in white on a strip of Summer Splash Prestige card stock and added it to my scene with the three cheerful penguins. Finally, I used a white gel pen to add some details on the party hats and added some sparkling clear sequins as embellishment. 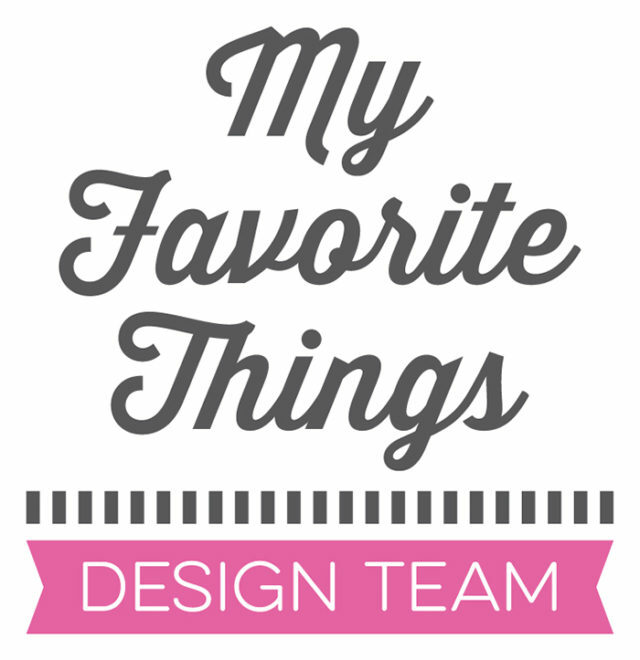 Visit the MFT Challenge and Inspiration Blog for all the details about the challenge and more inspirations from the DT.